You can add a logo or animated GIF to your signature through the photo upload option. 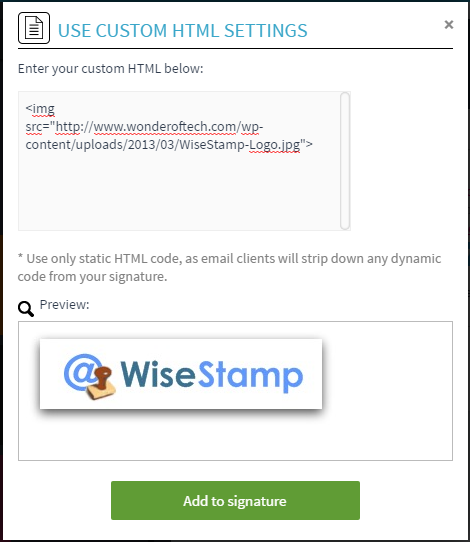 You can add additional images to your signature with the Custom HTML app. 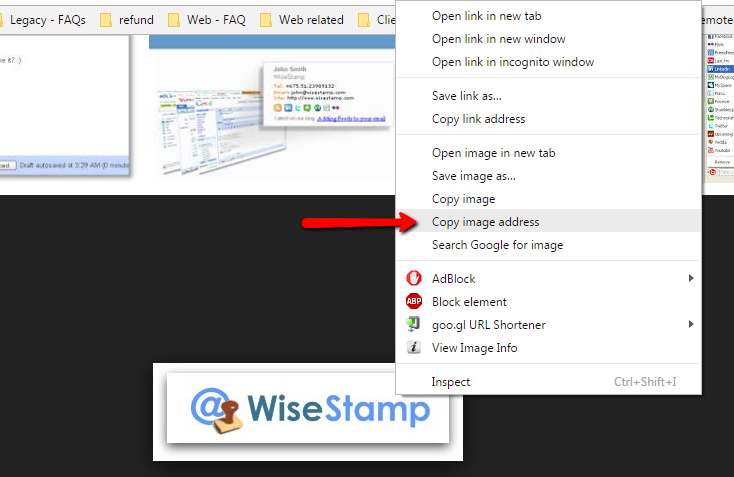 Locate your image on the web. Select the Use Custom HTML app. Click “Add to signature” and the image will appear at the bottom of your signature in the previewer. Don’t forget to save your changes and refresh your mail program to send the updated signature with your emails! You can also use the Banner app to upload still and aminated GIF images. You can even hyperlink the files to lead back to any specified website, or upload multiple images to be rotated.